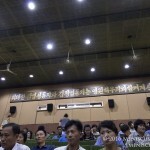 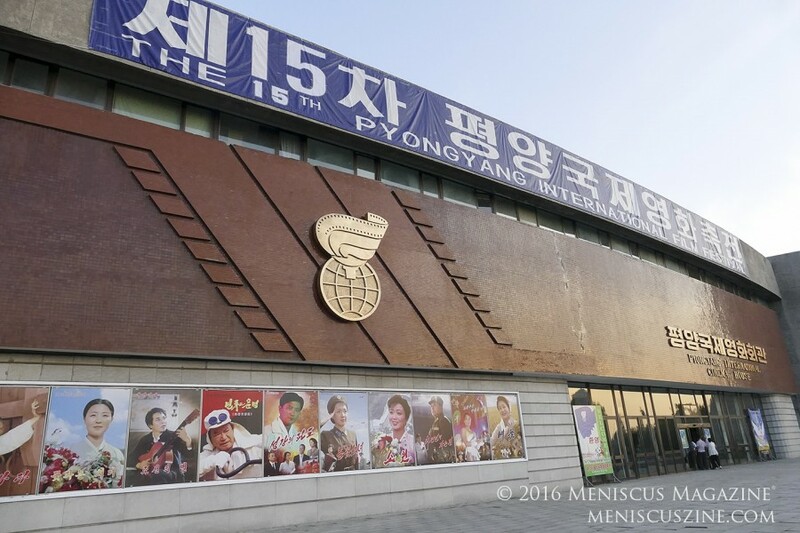 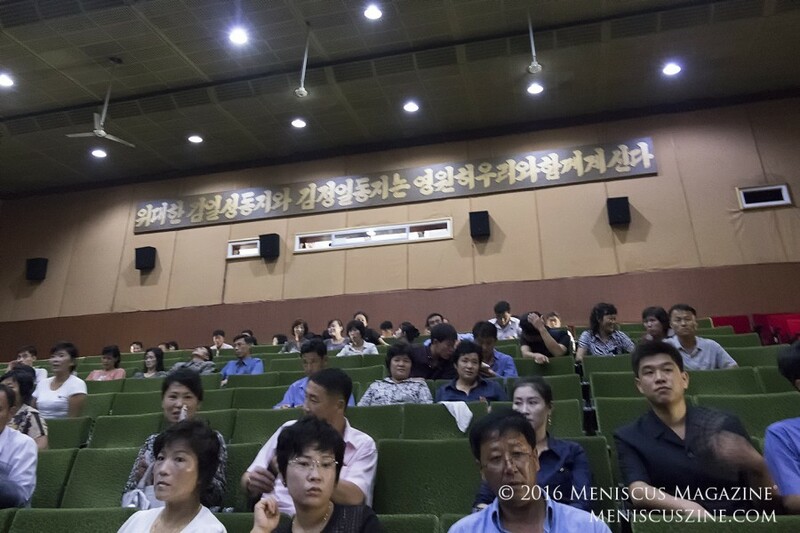 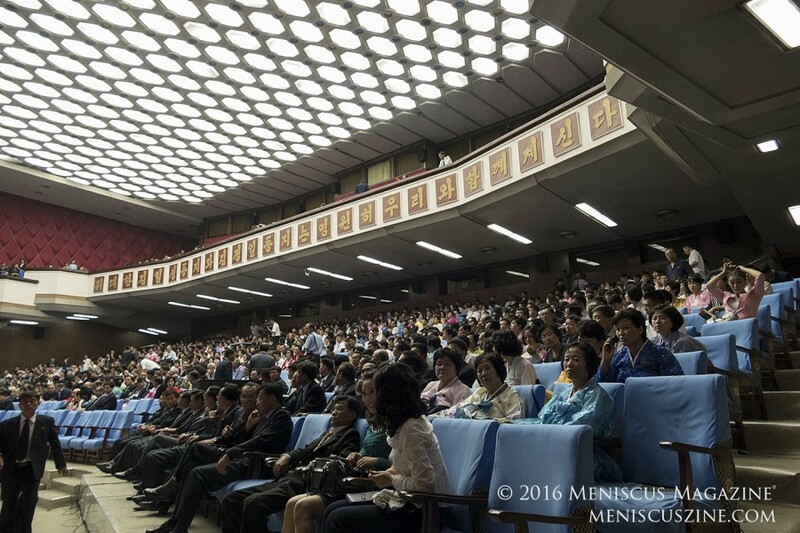 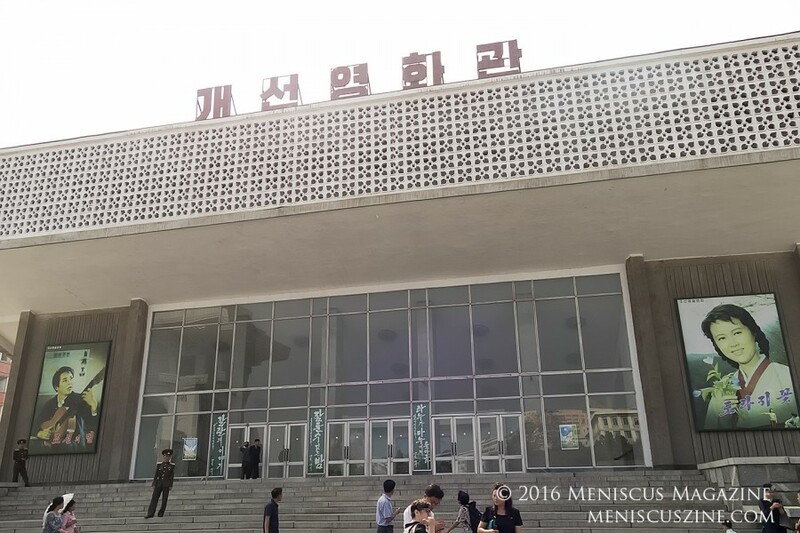 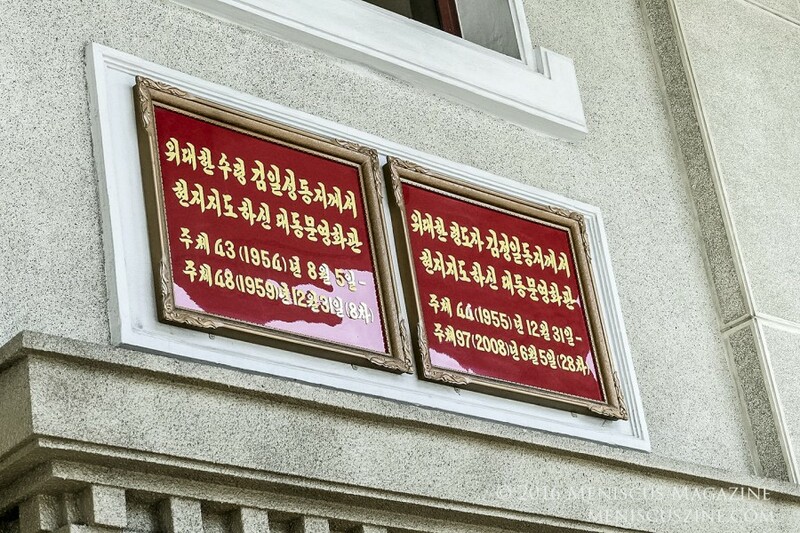 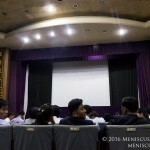 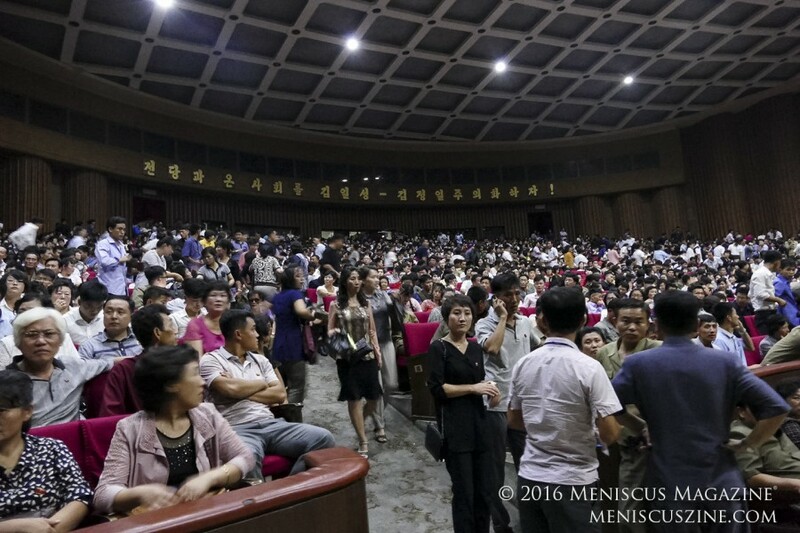 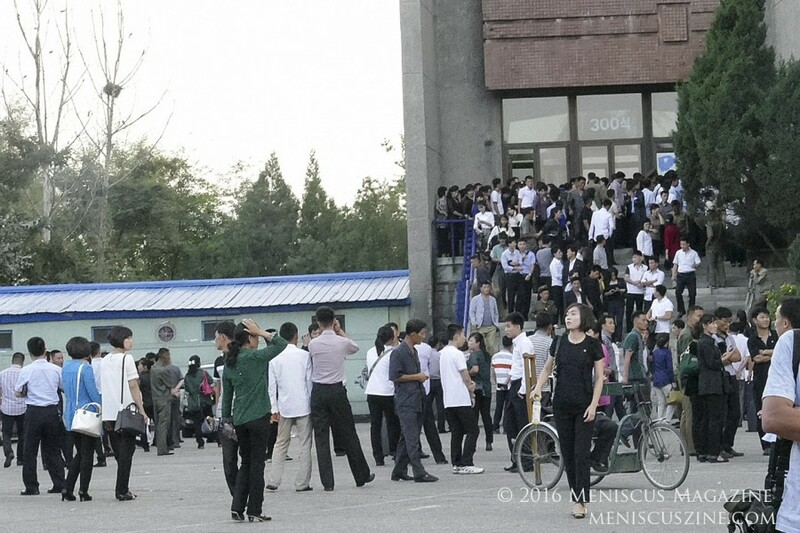 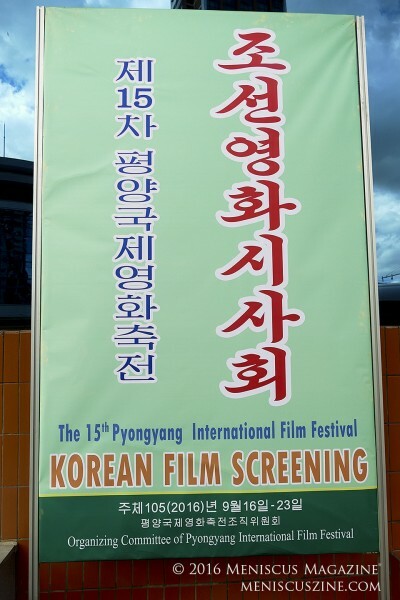 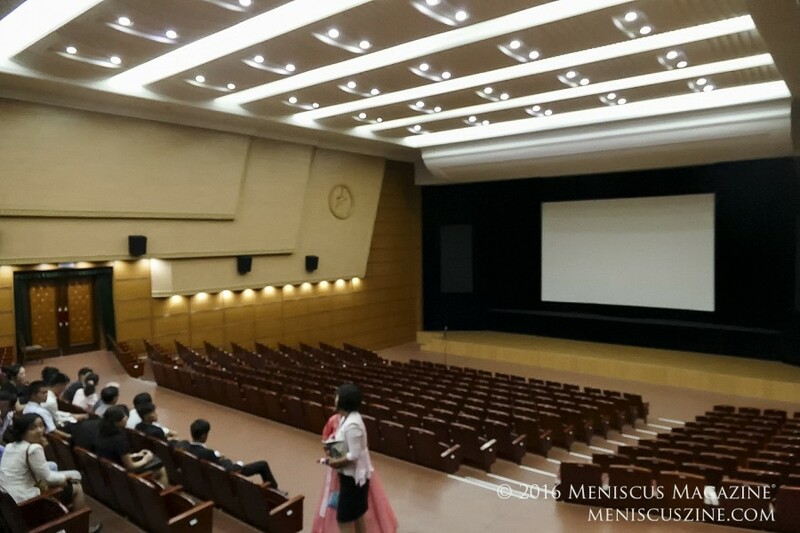 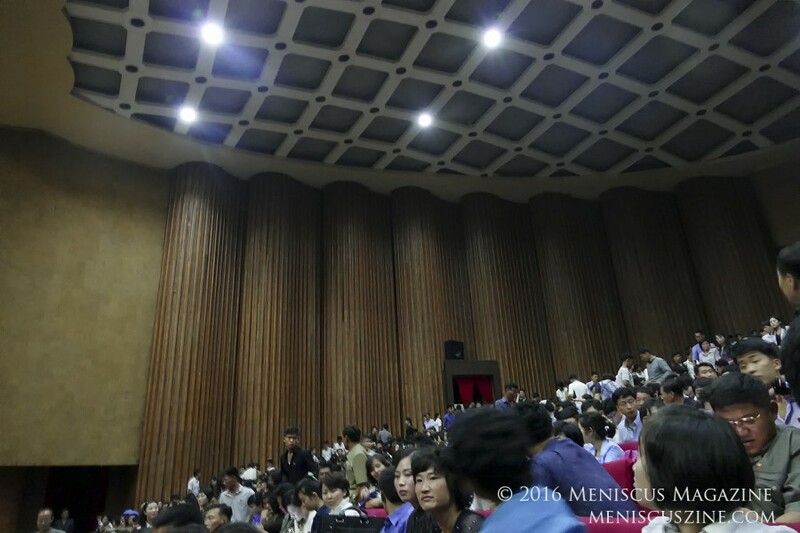 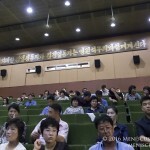 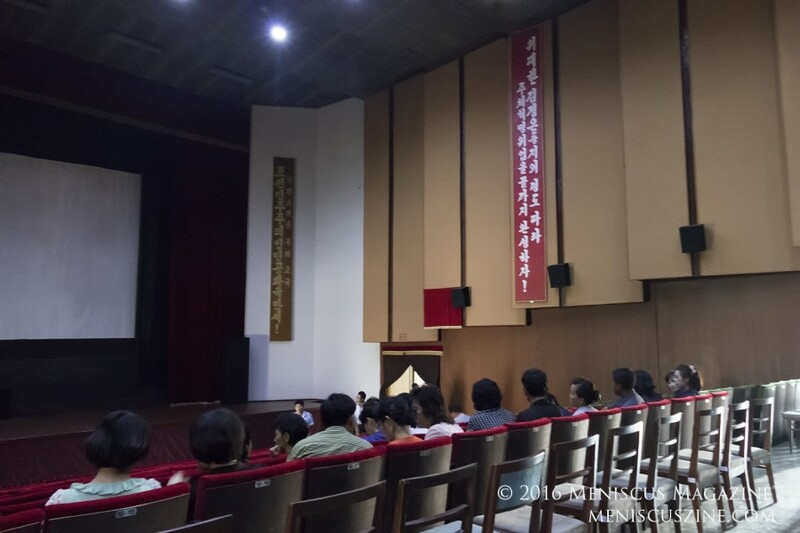 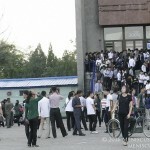 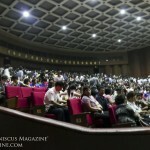 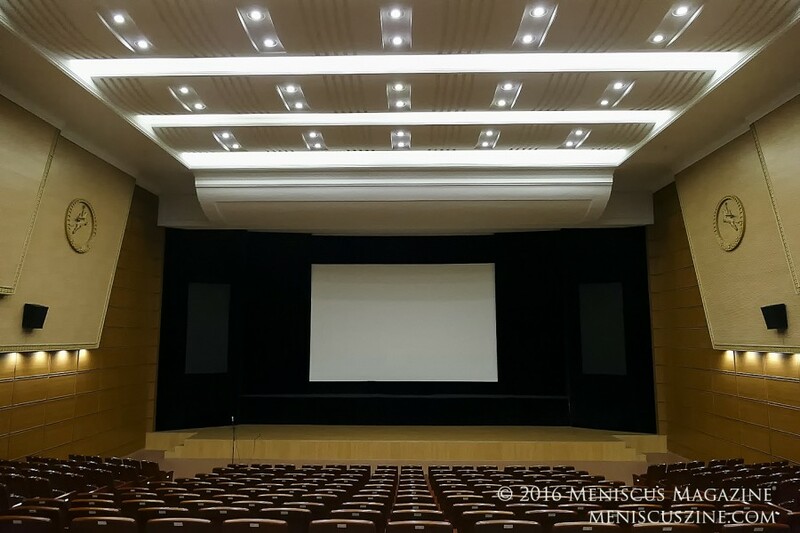 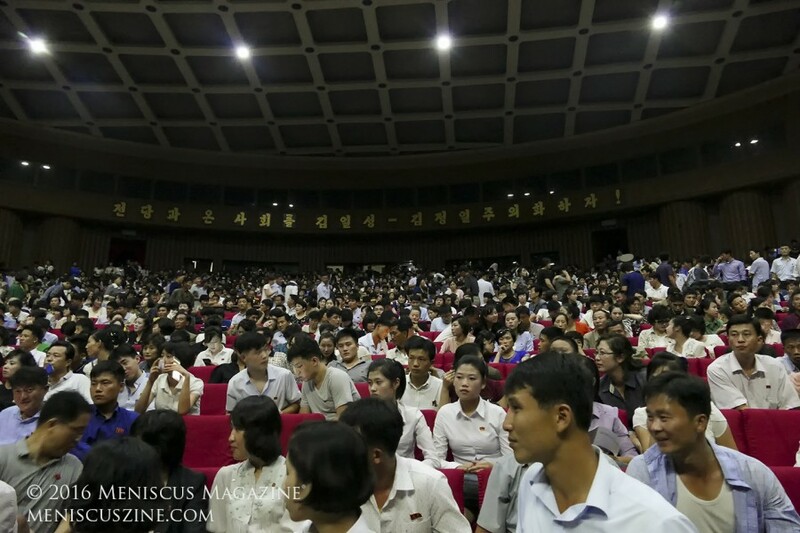 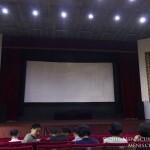 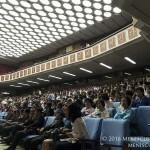 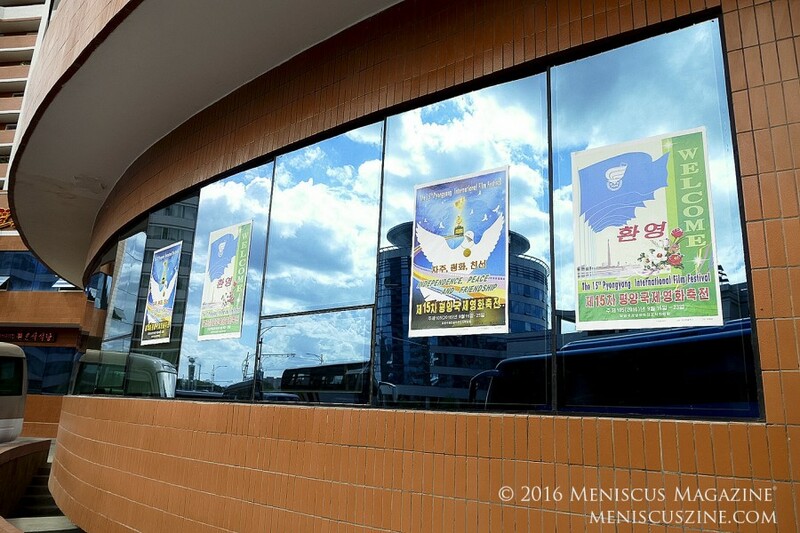 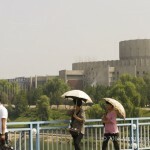 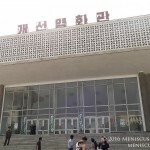 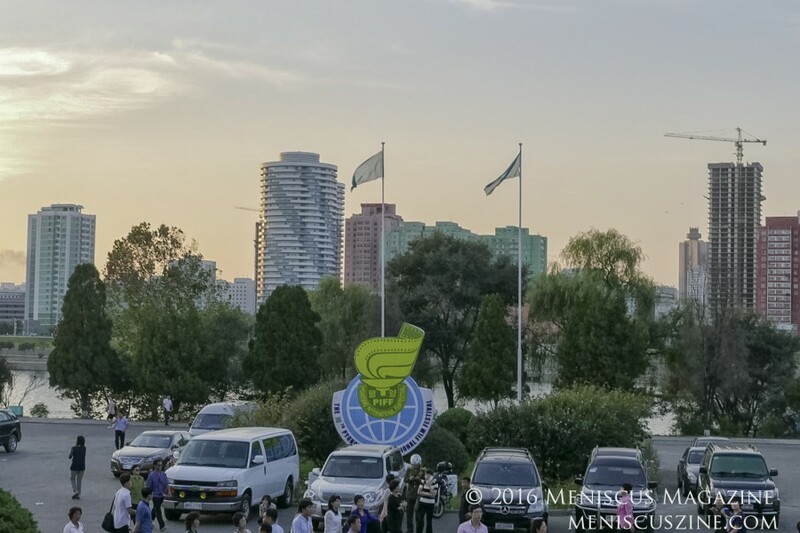 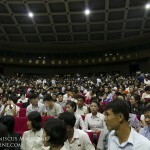 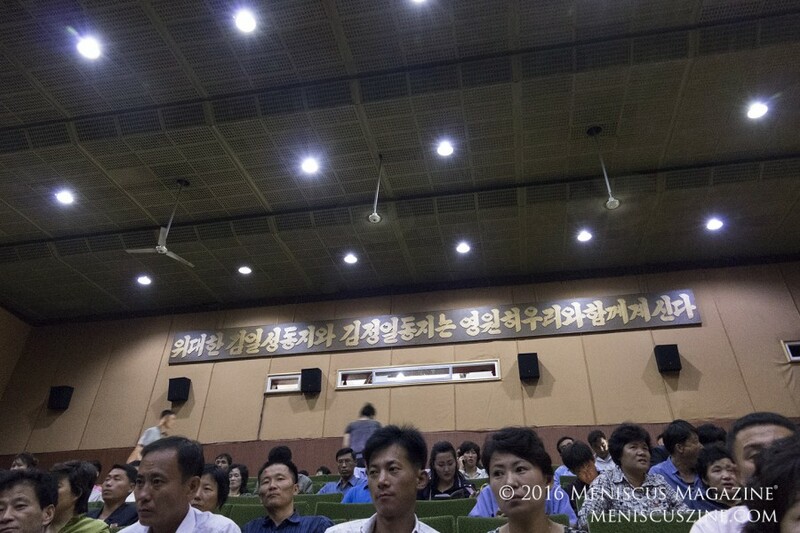 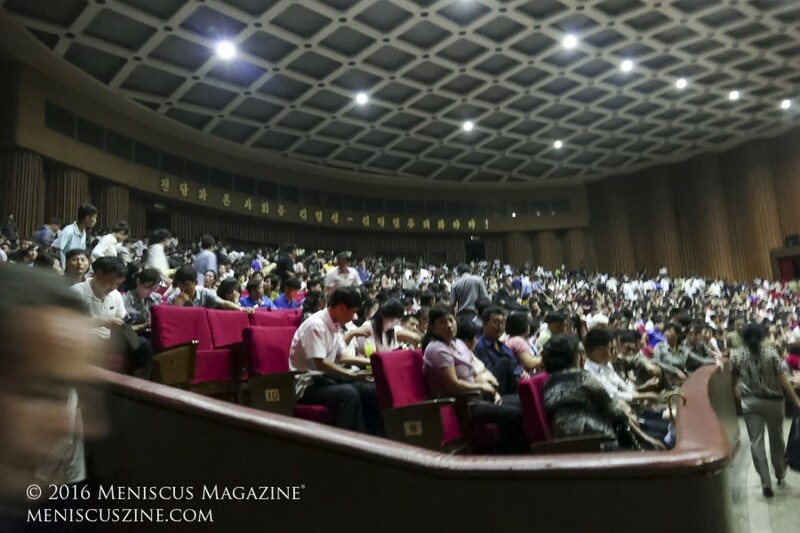 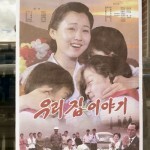 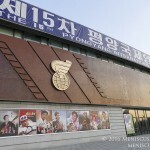 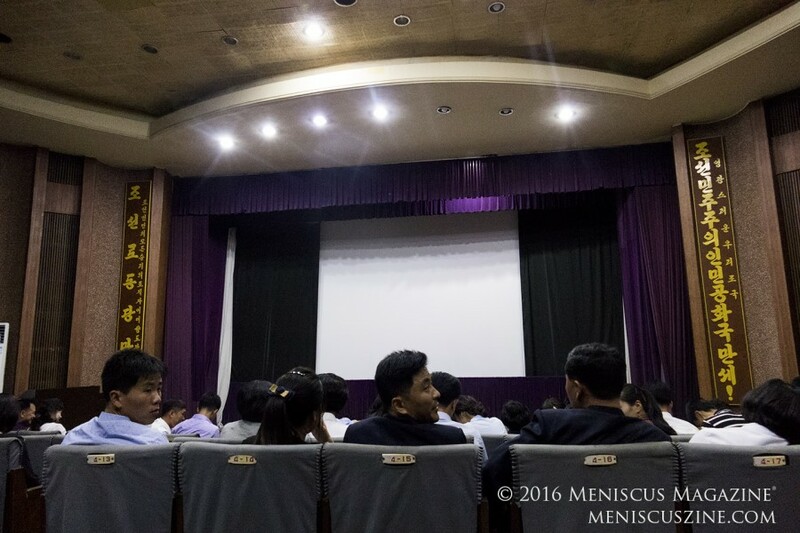 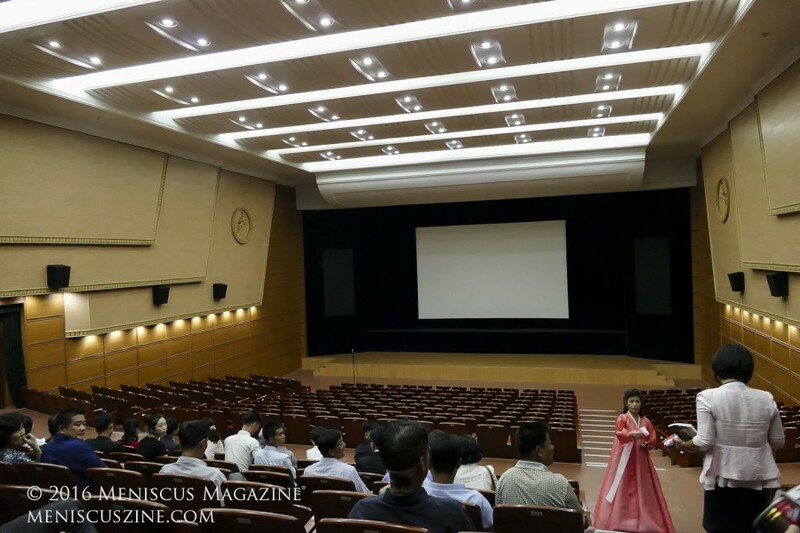 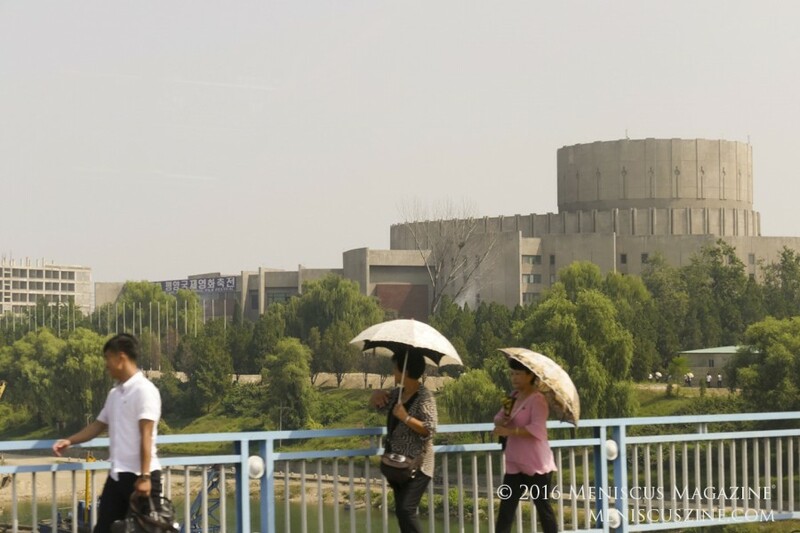 Held every even year, the Pyongyang International Film Festival (PIFF) is a rare opportunity for locals and foreigners in the North Korean capital to gather in a select number of theaters. 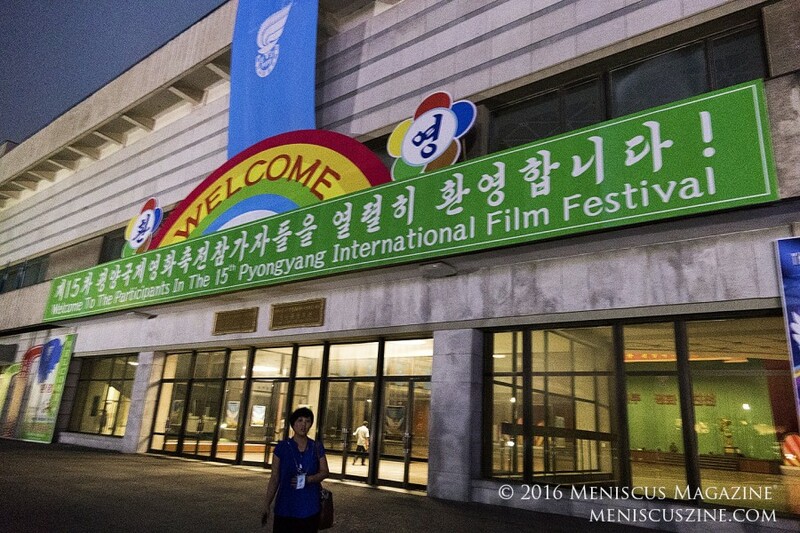 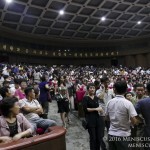 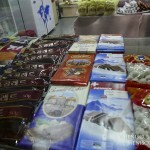 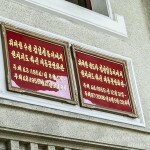 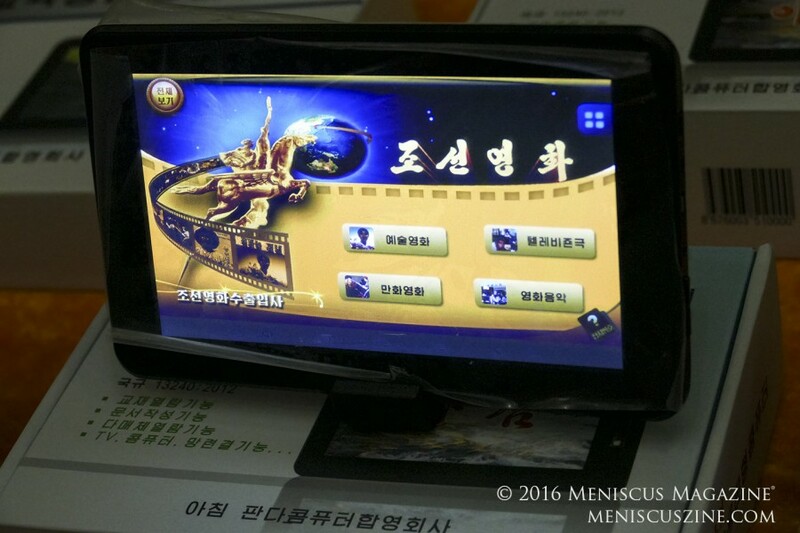 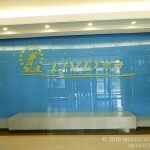 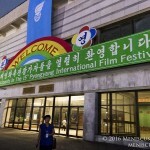 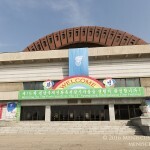 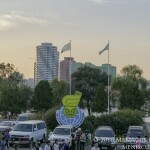 The 16th edition of the Festival will take place from Sep. 19-28, and if the 2016 event is anything to go by, visitors can expect a slate of several dozen films from countries such as Bangladesh, Russia, Myanmar, Syria, China, Germany and India (Bollywood movies are especially popular in North Korea). 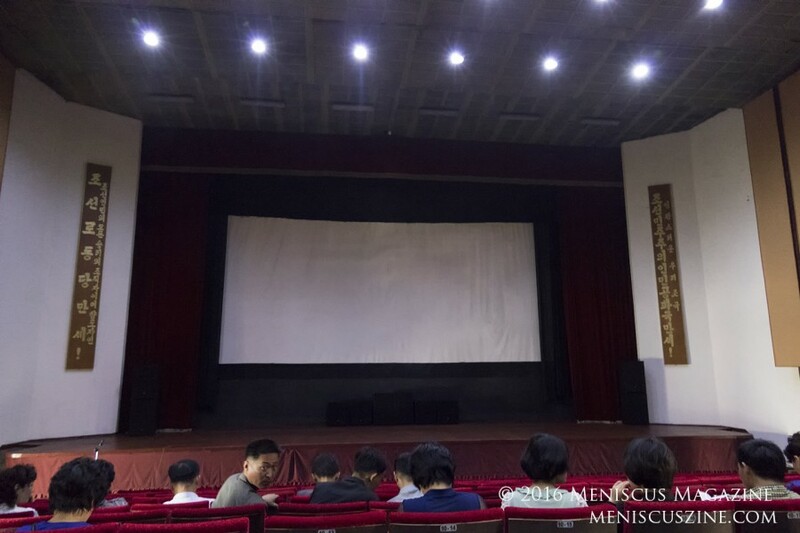 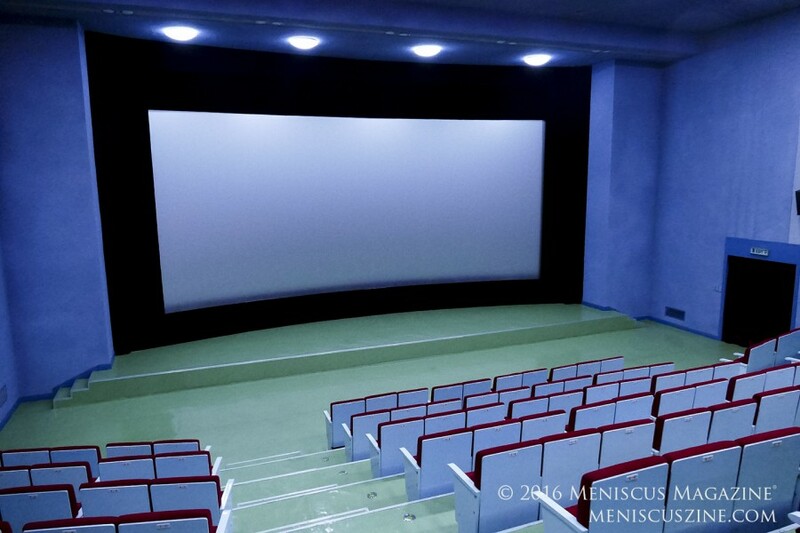 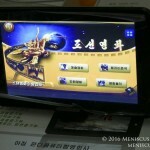 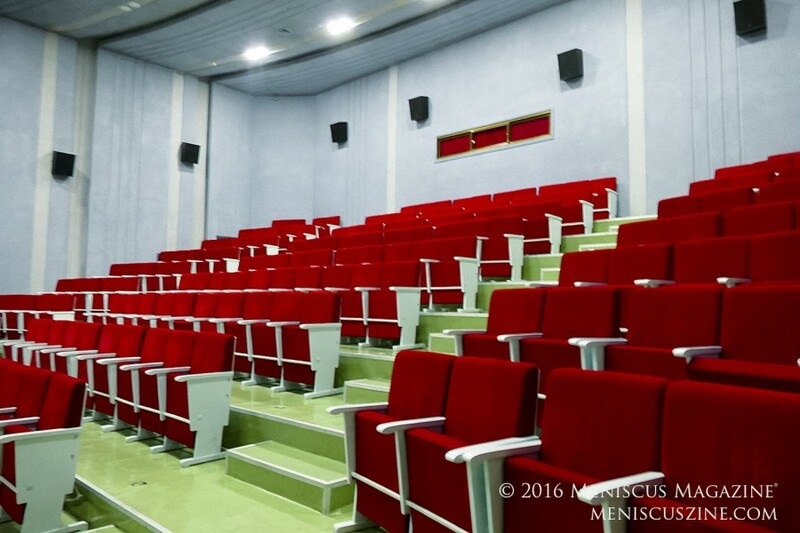 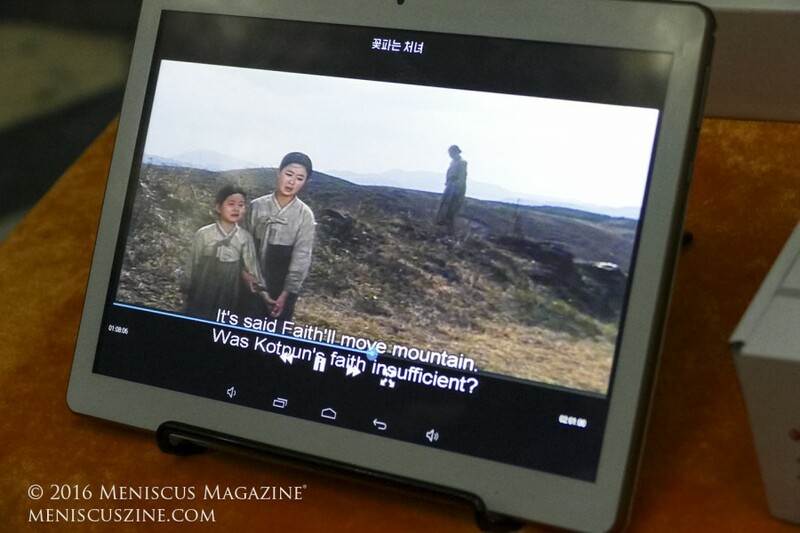 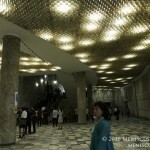 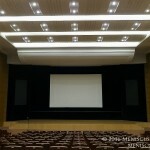 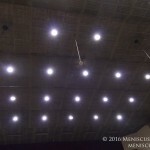 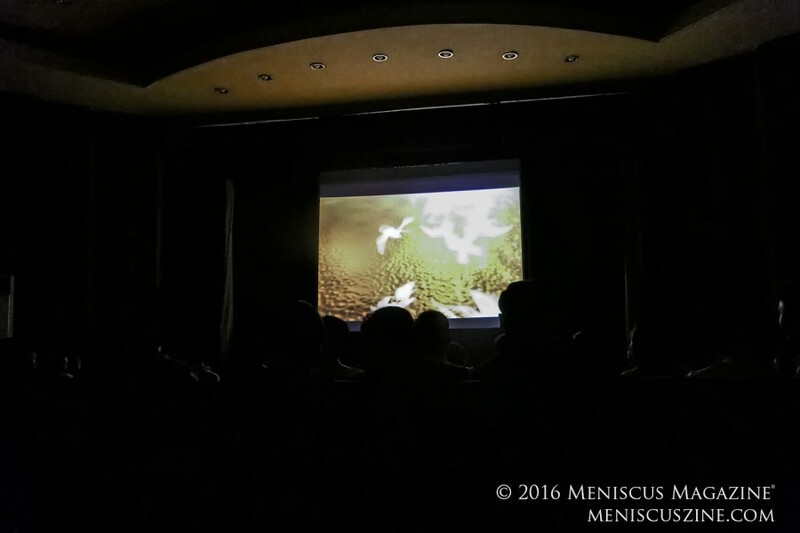 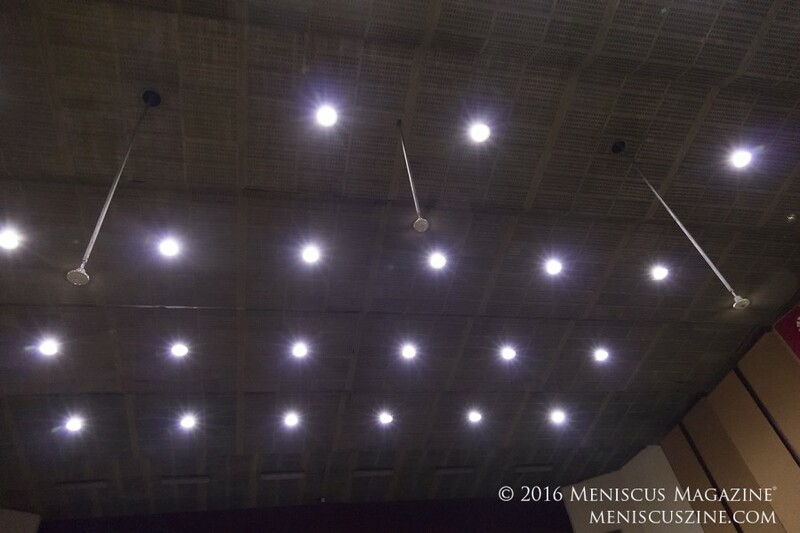 English subtitles aren’t always guaranteed at screenings, and some theaters are off limits to tourists. 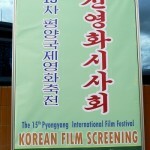 Those who have a chance to attend PIFF can react to dialogue and scenes alongside some diehard movie fans. 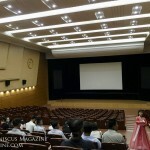 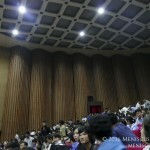 The venue for the PIFF Opening and Closing Ceremonies is actually a sprawling complex of theaters and meeting rooms. 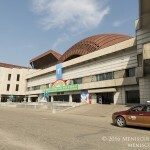 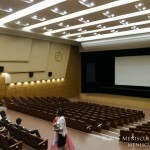 The larger of the two theatres seats 2,000 people, and in 2016 it hosted the Opening Ceremony and film, “A Quiet Outpost,” back to back over several hours. 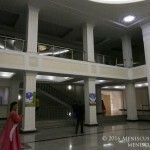 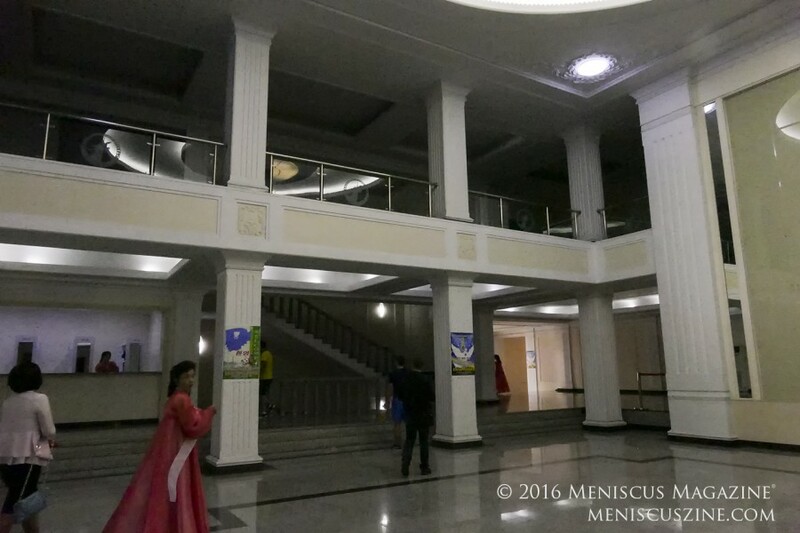 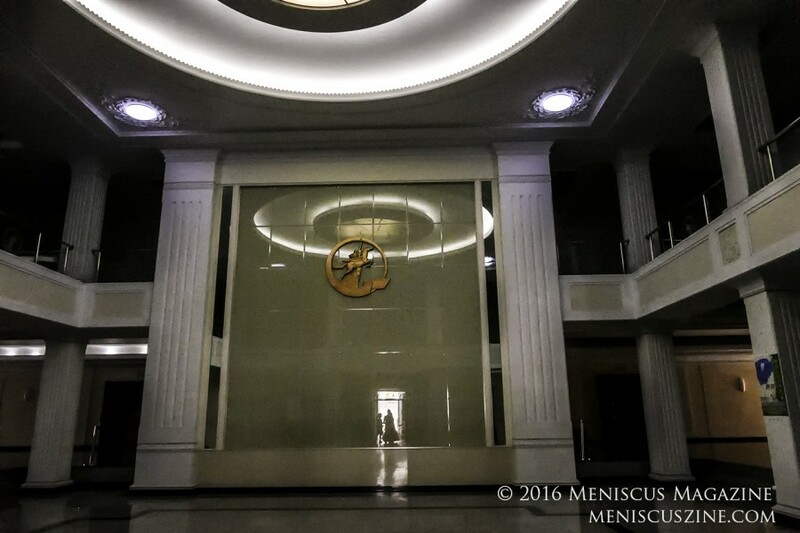 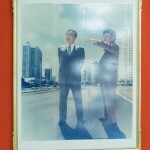 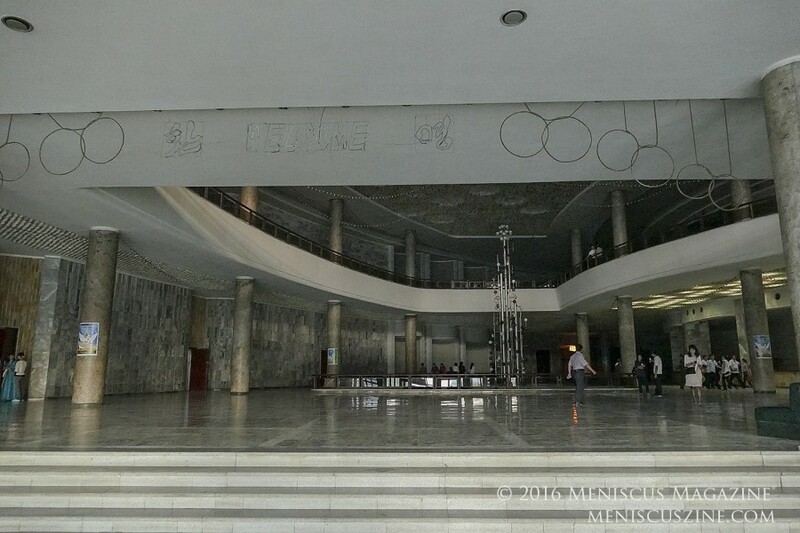 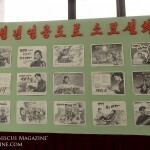 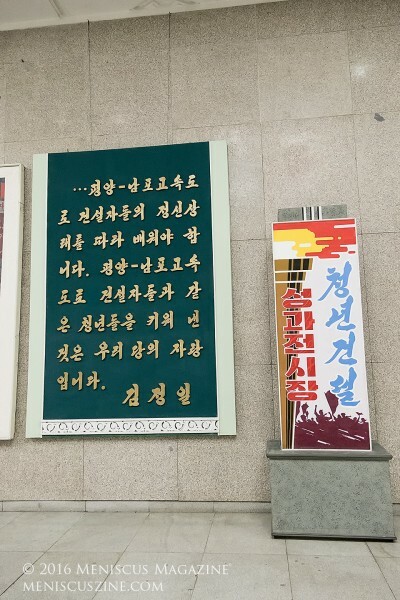 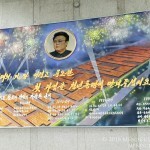 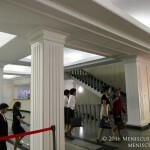 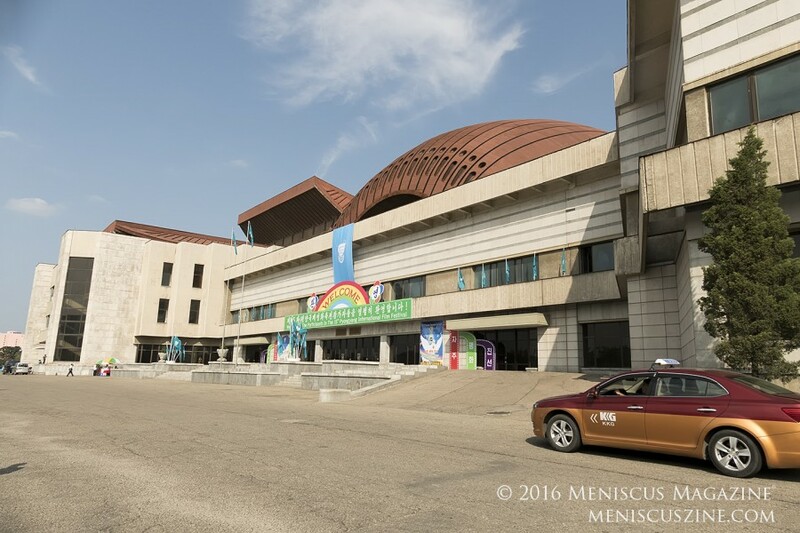 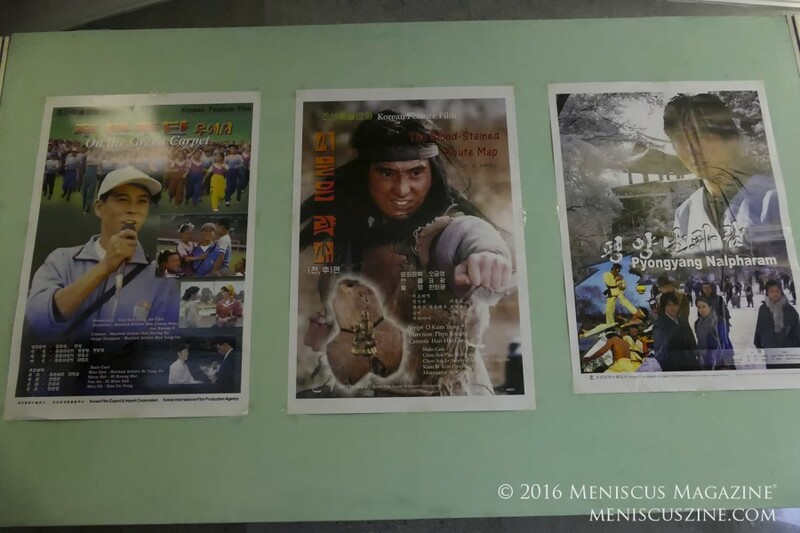 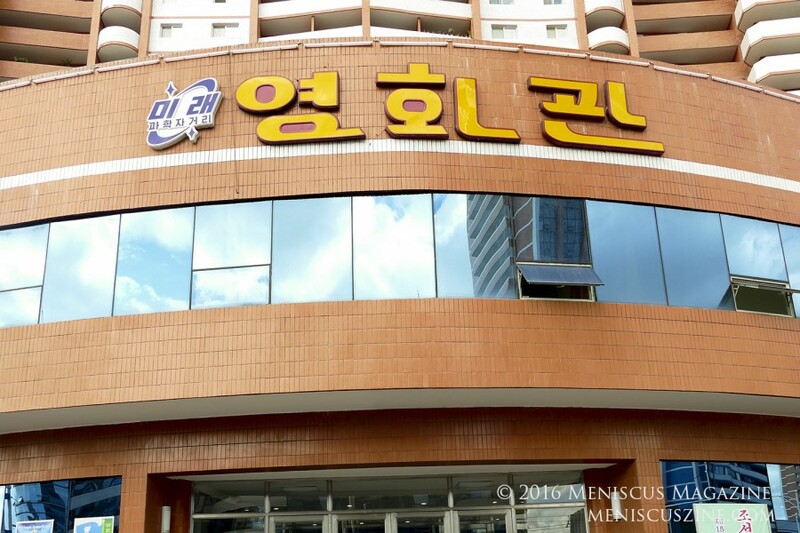 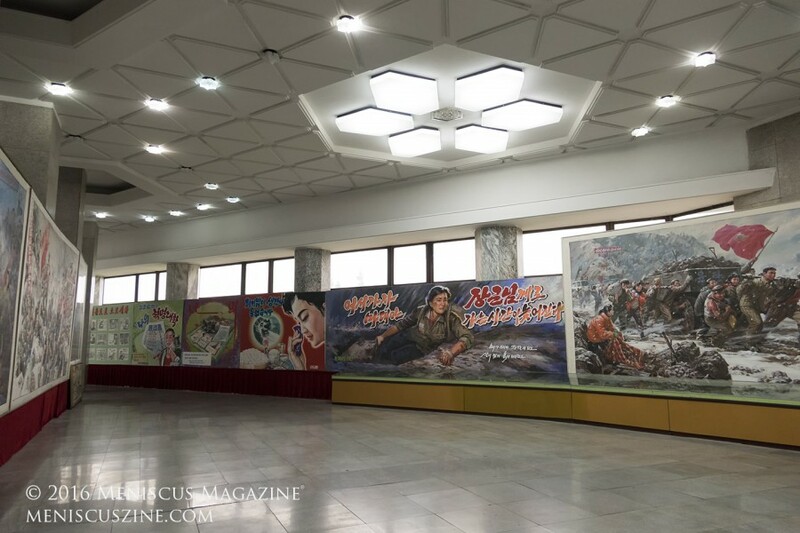 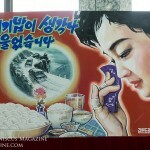 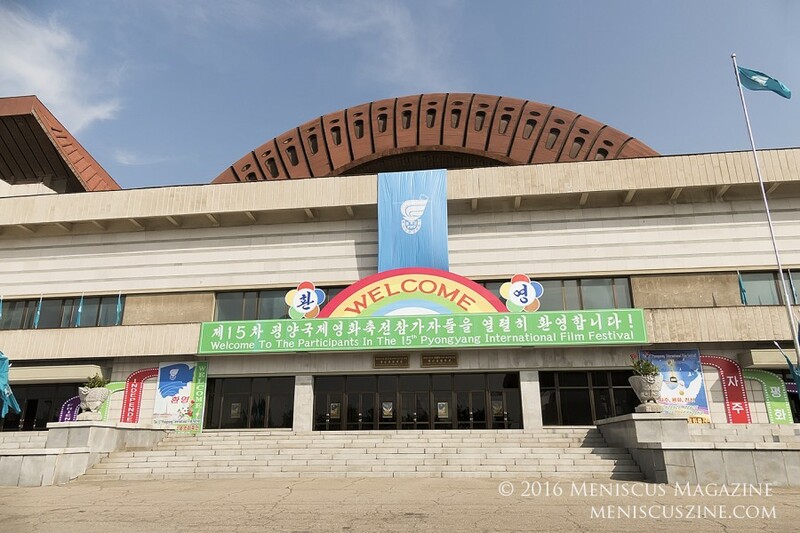 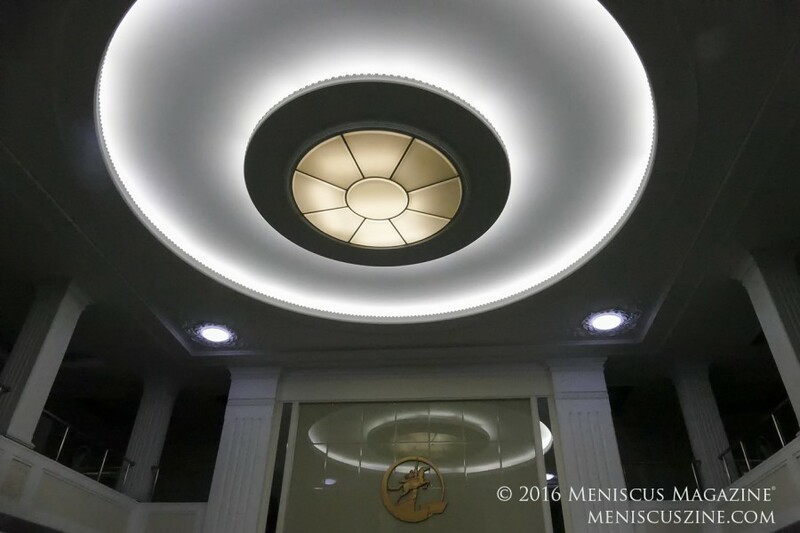 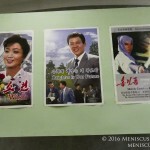 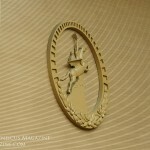 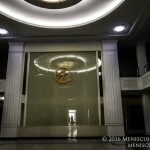 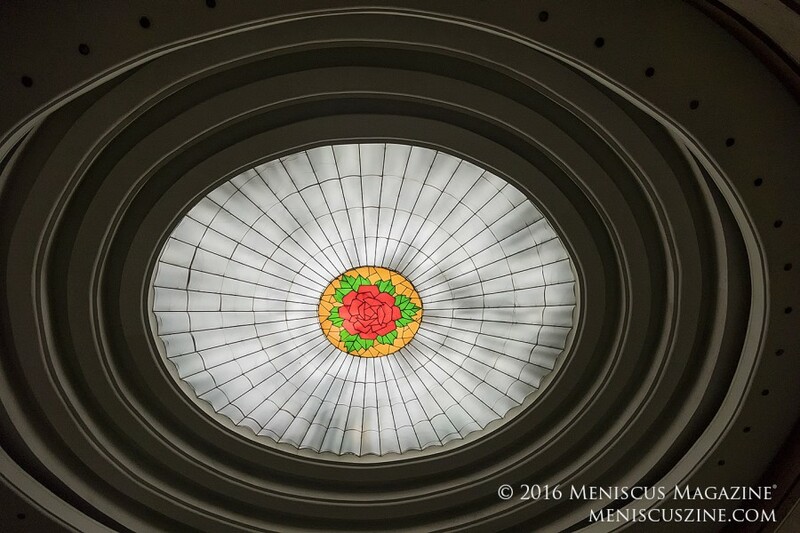 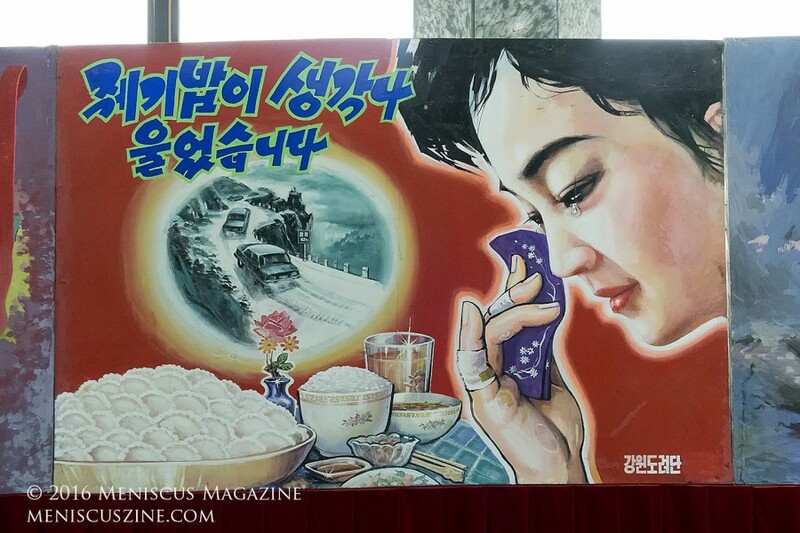 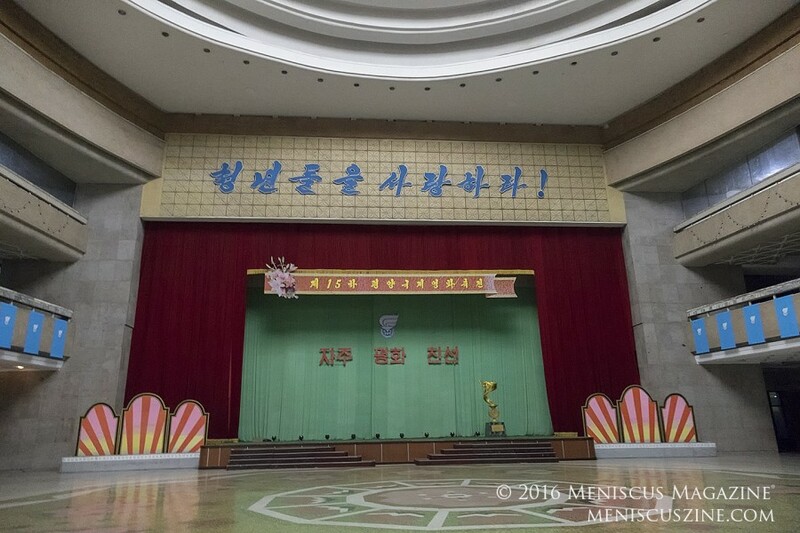 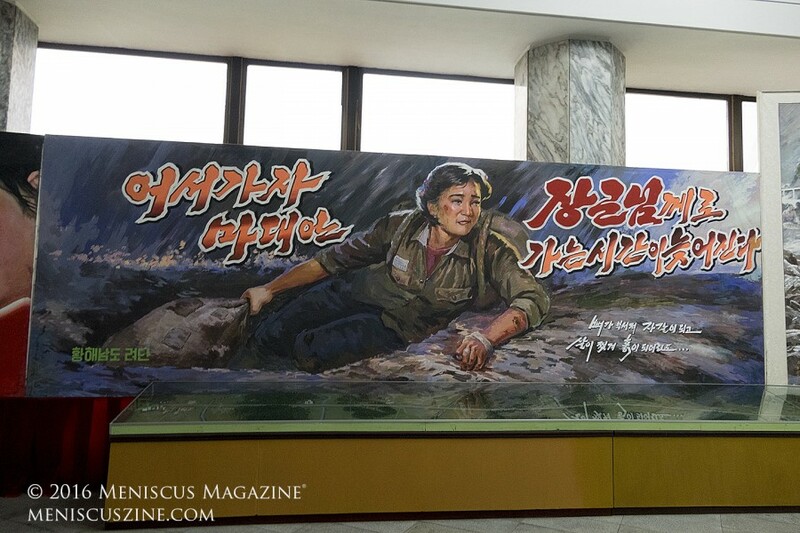 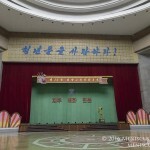 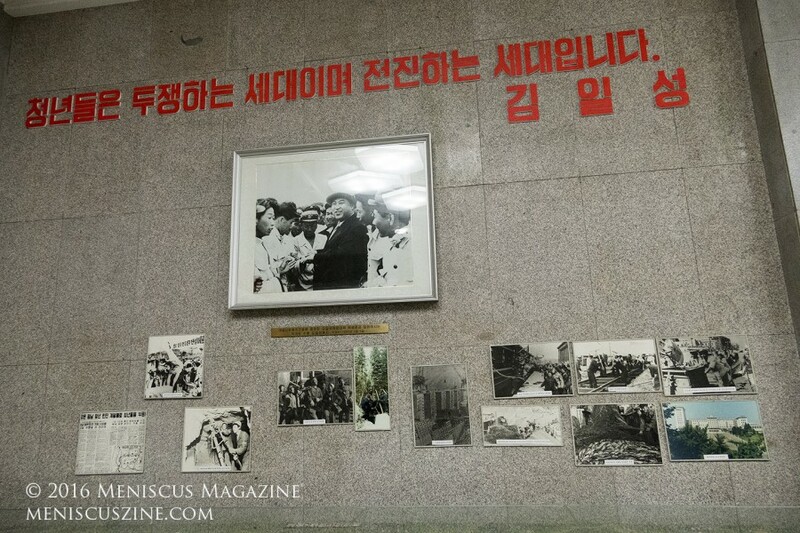 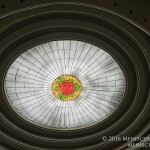 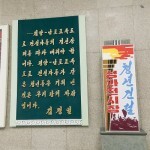 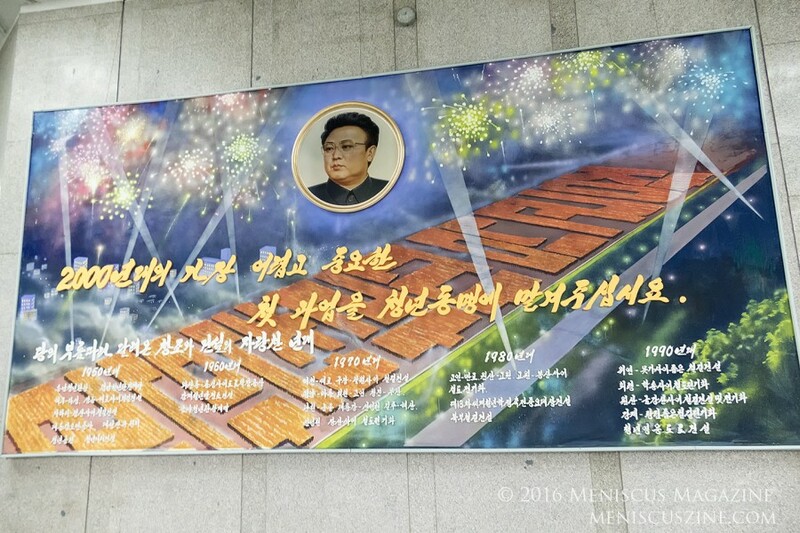 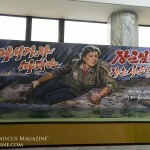 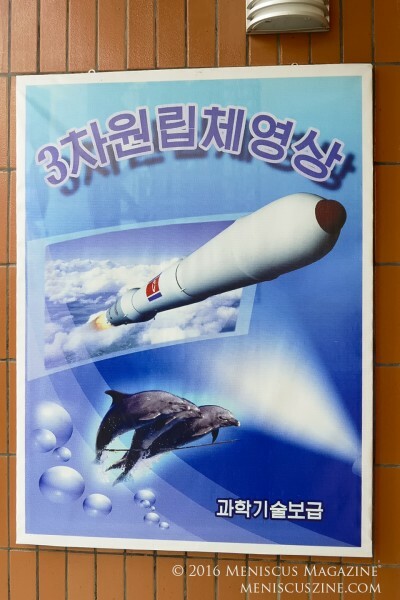 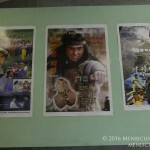 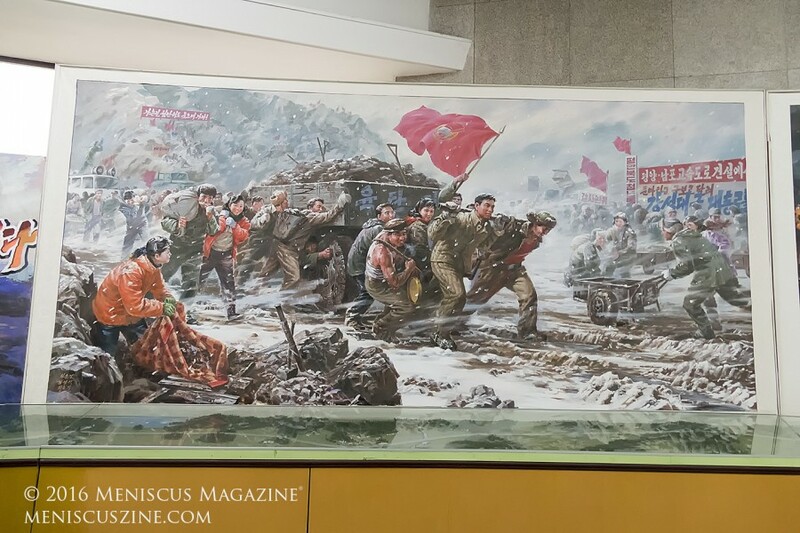 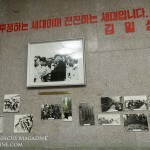 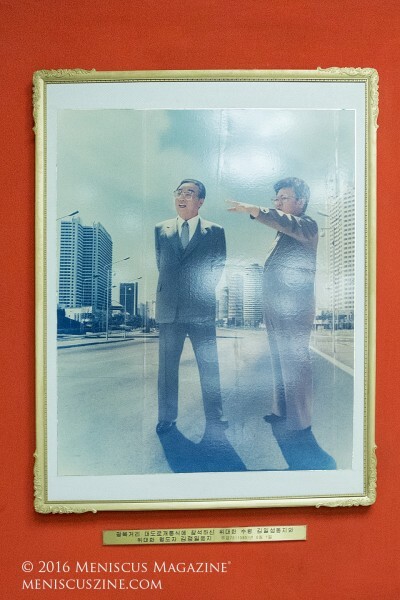 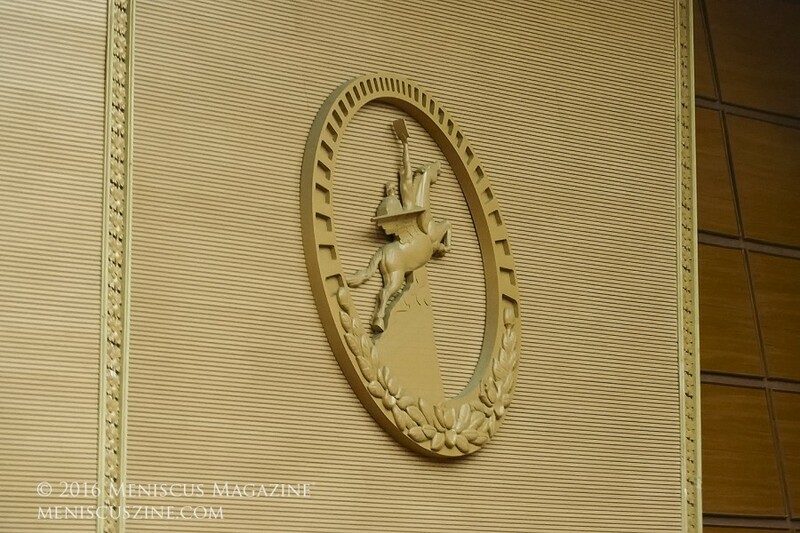 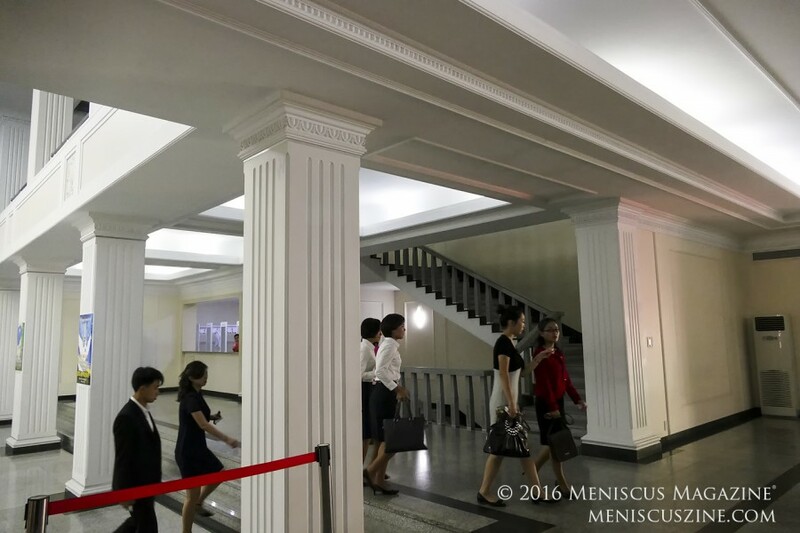 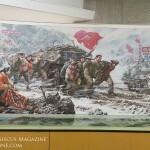 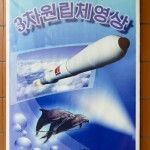 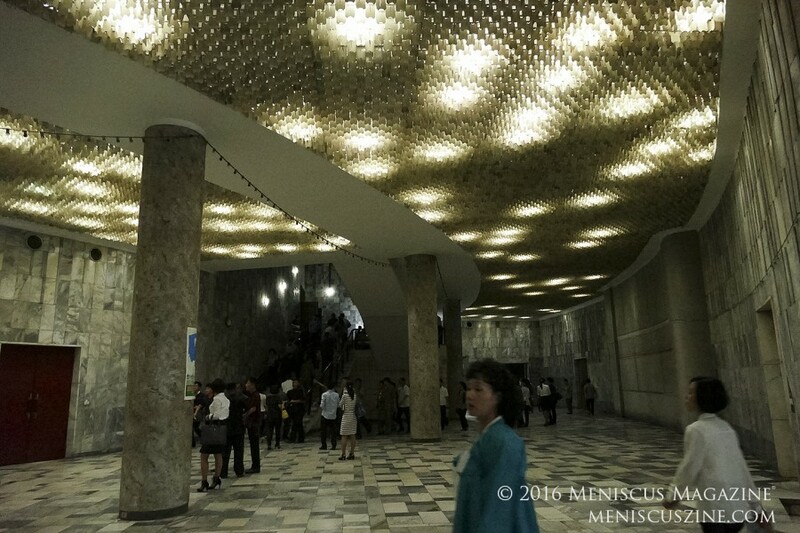 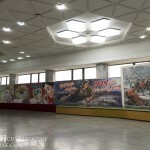 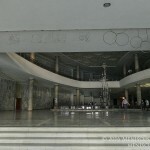 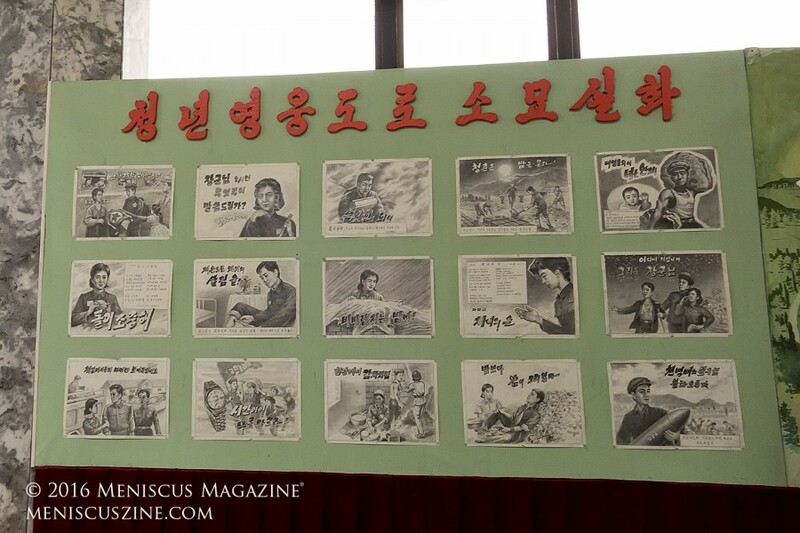 Those unfamiliar with the venue and North Korean film should take time to wander into the lobby and observe the details in some spectacularly painted and drawn murals depicting scenes from various domestic movies. 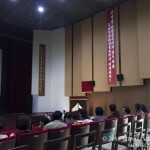 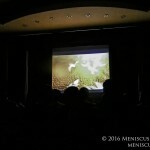 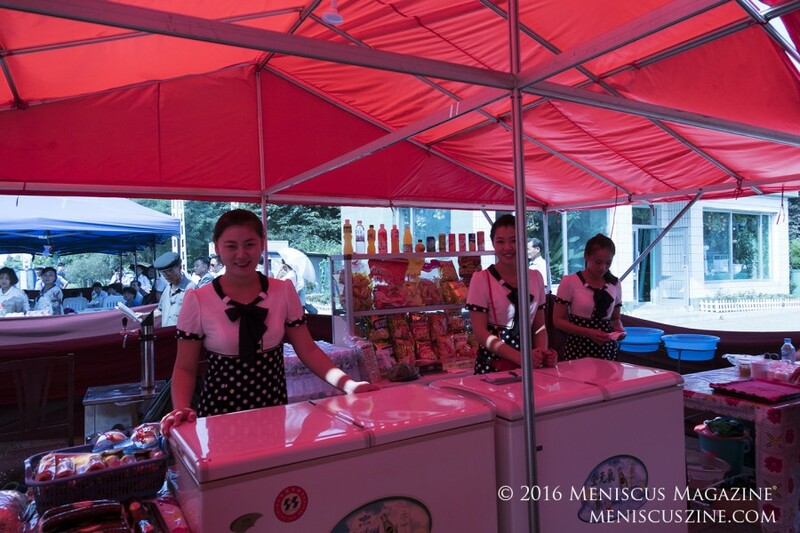 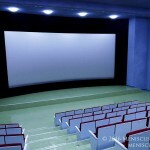 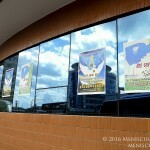 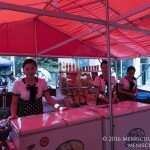 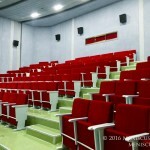 The Mirae Scientists’ Street Cinema was not open to foreign visitors during the 2016 PIFF, but it did host screenings for locals. 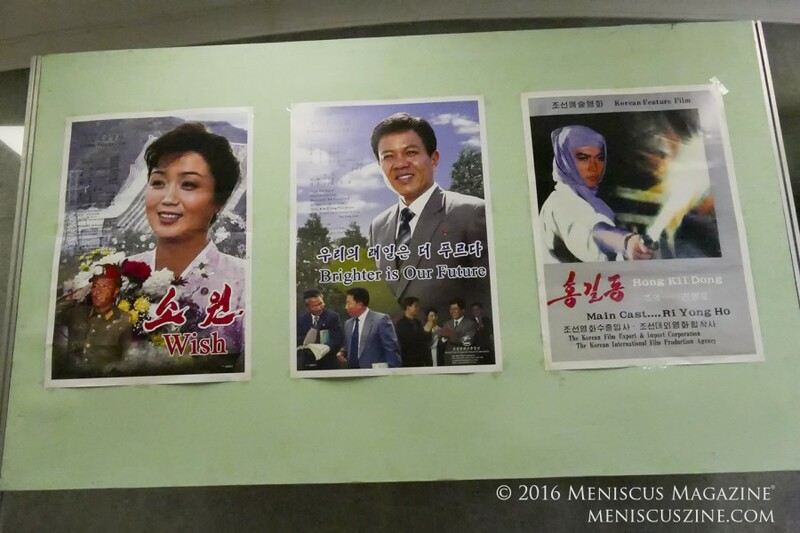 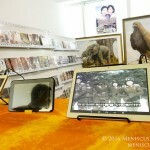 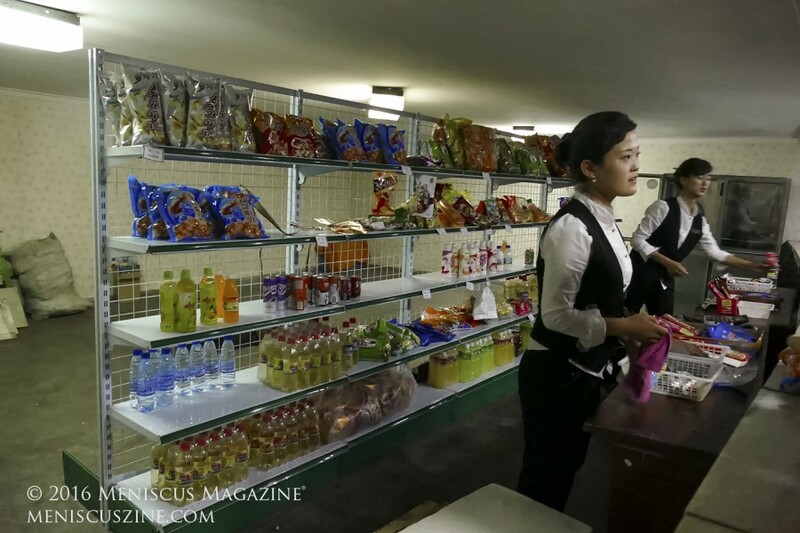 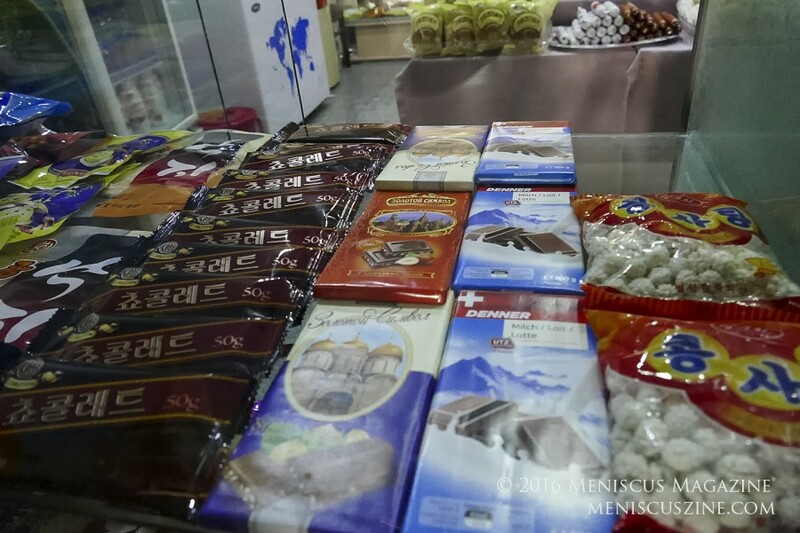 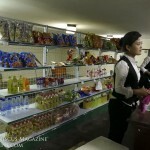 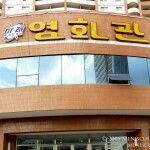 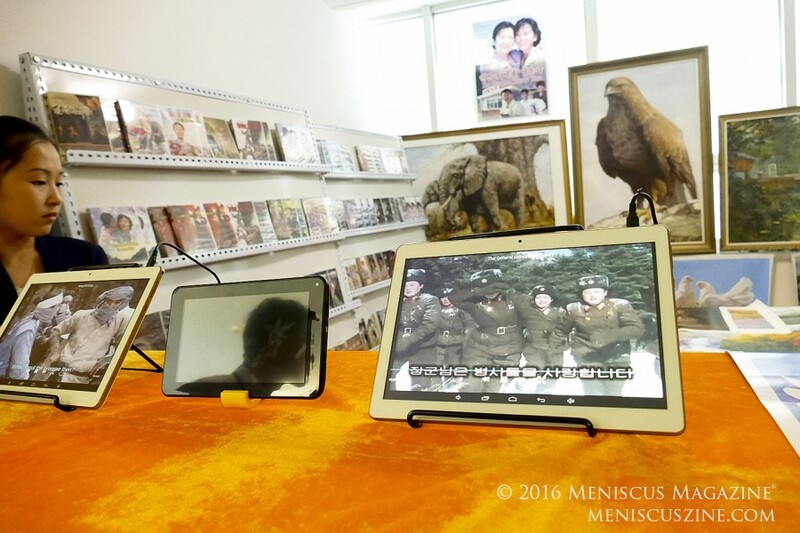 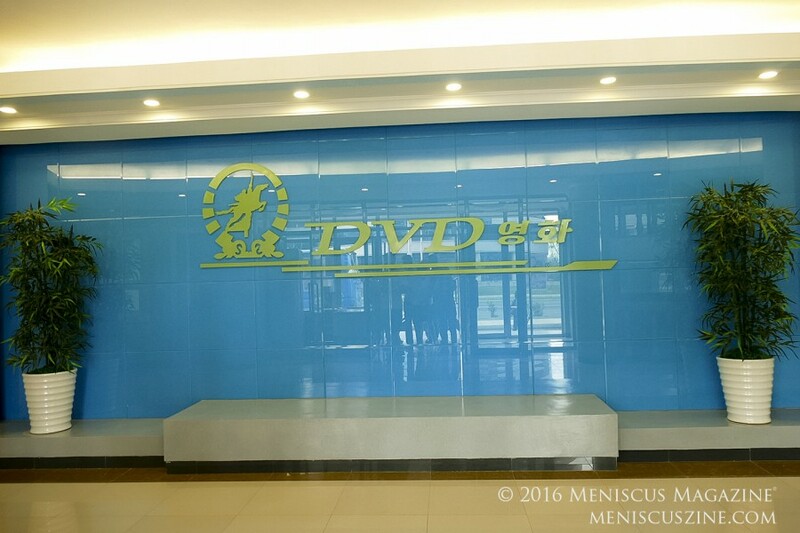 In addition to the theater, a small gift shop stocks DVDs and books that are difficult to find in other hotel gift shops across the city, such as Korean Film Art, a catalog in Korean and English that documents select films made in North Korea over the years.